Aston Villa are licking their wounds after a devastating defeat at the hands of premiership newbies West Ham. A shallow attempt by Villa to garner attention by wearing insipid lime green fluorescent jerseys backfired badly during Saturday’s season’s opener at Upton Park. Sources close to match referee, Mike Dean, revealed that he was able to confidently rule the Hammer’s winning goal onside because of the extreme optical insult of Villa’s away kit. The controversy is likely to open old wounds for Villa fans who have struggled with away kit problems for years. 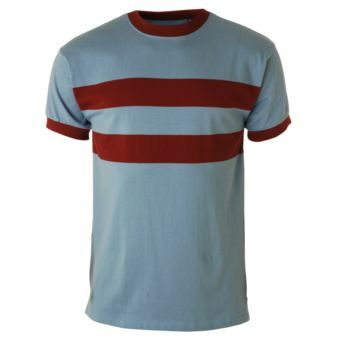 Even worse, coming against their closest rivals in the home colour kit stakes, this will serve as a reminder that while they continue to seek an away kit that is even barely acceptable, West Ham remain the true kings of claret and blue and can regularly (every second season) turn out in their sartorially magnificent sky blue with double claret lineage away jerseys that are undoubtedly English football’s most desirable attire. It is rumoured that some former players have struggled to get stuck in during away fixtures due to fears of getting the elegant gear dirty. However, no such explanations can possibly hold for Darren Bent’s failure to touch the ball during the second half of Saturday’s fixture. 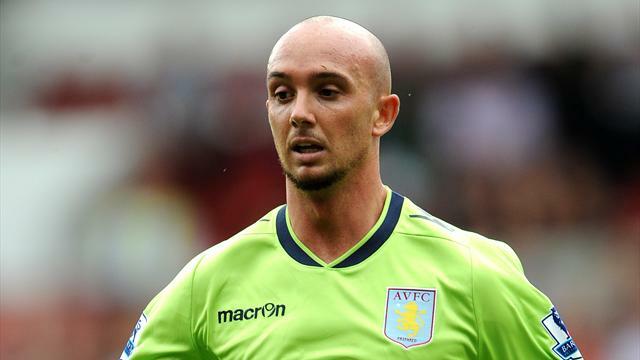 Even though the kit is naff it seems to suit Stephen Ireland.